Meghan and Prince Harry have apologised for their late thank you cards – as they continue to send well-wishers messages more than five months after the royal wedding. 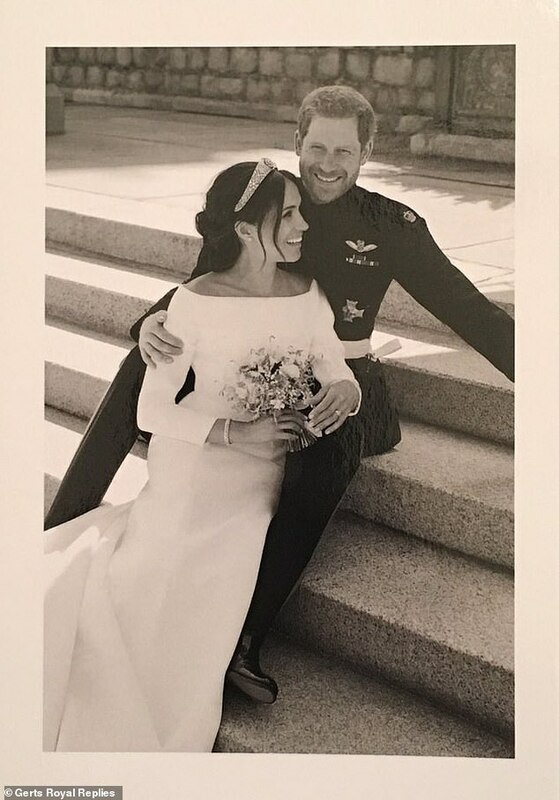 The Duke and Duchess of Sussex have been sending fans cards featuring their official black-and-white wedding portrait, taken outside St George’s Chapel, Windsor Castle, in May by photographer Alexi Lubomirski. However, a royal fan has revealed that she only received her thank you note this week, accompanied by a letter of apology from Kensington Palace. The head of general correspondence, Claudia Spens, explained how it had been a ‘particularly busy time for this office’, meaning that they have been ‘unable to reply as quickly as we would have liked to’. 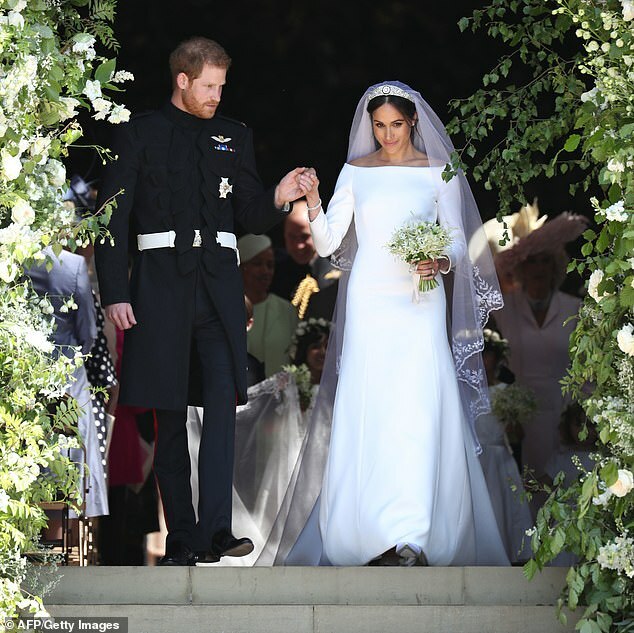 Fans who took the time to write to Meghan, 37, and Harry, 34, to congratulate them on their wedding first began sharing the thank you cards they had received in July. 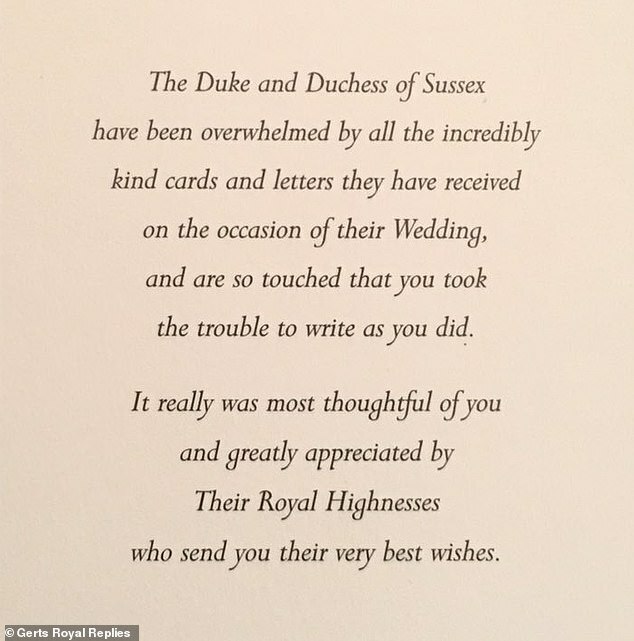 The message inside read: ‘The Duke and Duchess of Sussex have been overwhelmed by all the incredibly kind cards and letters they have received on the occasion of their Wedding, and are so touched that you took the trouble to write as you did. 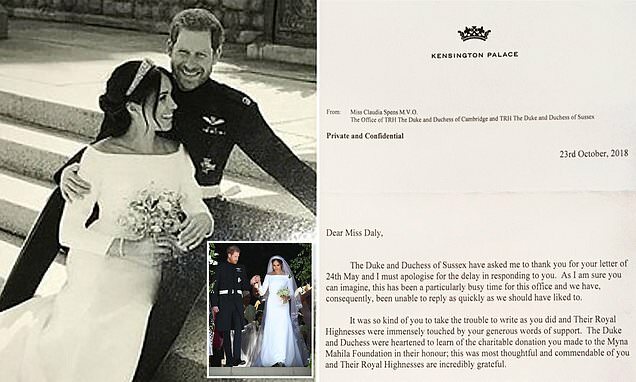 However, royal blogger Gertrude Daly, who runs the Gerts Royal Replies blog, revealed how her card also came with a separate letter apologising for the delay. 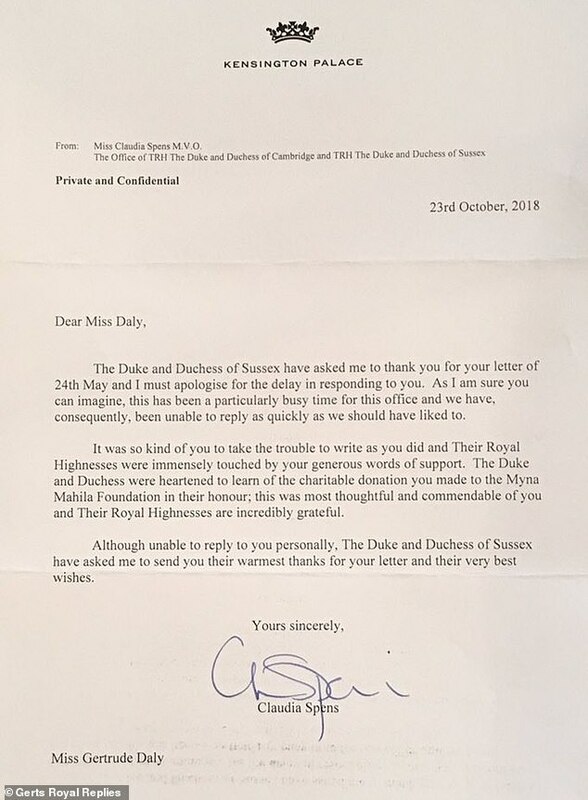 The letter read: ‘The Duke and Duchess of Sussex have asked me to thank you for your letter of 24th May and I must apologise for the delay in responding to you. ‘As I am sure you can imagine, this has been a particularly busy time for this office and we have, consequently, been unable to reply as quickly as we should have liked to. 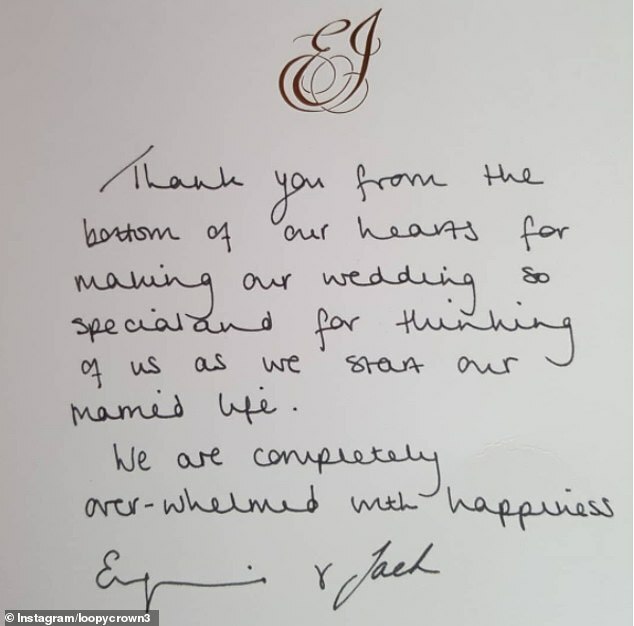 It comes after royal fans revealed how they had received handwritten thank you letters from Princess Eugenie and Jack Brooksbank just three weeks after their wedding. 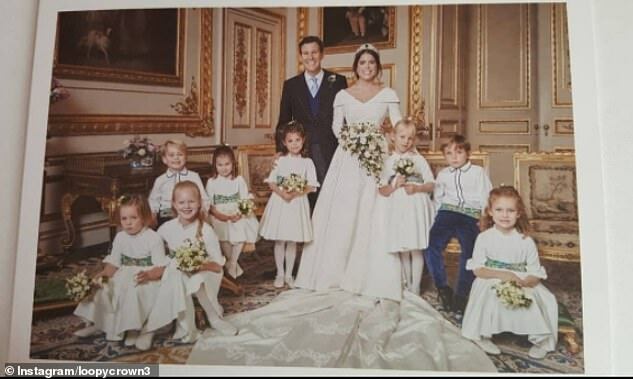 The card featured an official portrait of Eugenie, 28, and Jack, 32, with their bridesmaids and flower girls, taken by photographer Alex Bramall. The message inside read: ‘Thank you from the bottom of our hearts for making our wedding so special and for thinking of us as we start our married life.